Loreto Bay National Park Fishing is one of the main activities at the park, and in accordance with the federal fisheries legislation, the socioeconomic activity of fishing has been categorized as a provider of recreation and of sustainability for local and foreign residents and visitors alike. Is forbidden to catch species are licensed through fishing concessions. The Loreto Bay National Park Fishing species that are allowed to be captured in this category are mainly the Triggerfish (Balistes polylepis), the different species of snappers (locally called pargo), and the striped mullet (Mugil cephalus). This division has two subcategories, Low-Scale and Industrial. 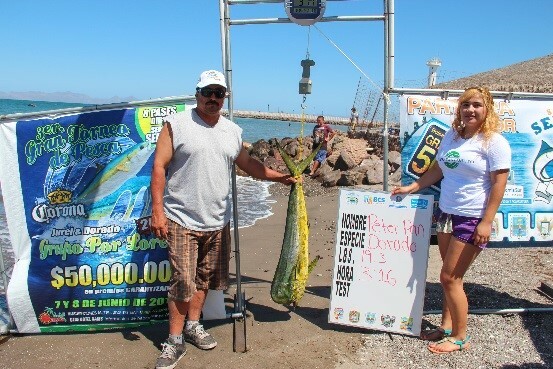 The purpose of this fishing activity is to gain an economic benefit. Low-Scale fishing uses traditional techniques with little technological development and is mainly active in the territorial sea. Its methods are generally non-destructive, selective, and relatively sustainable for marine ecosystems. Industrial fishing aims to get a high catch, using non-selective methods, that are often destructive damaging or even destroying the marine ecosystems. 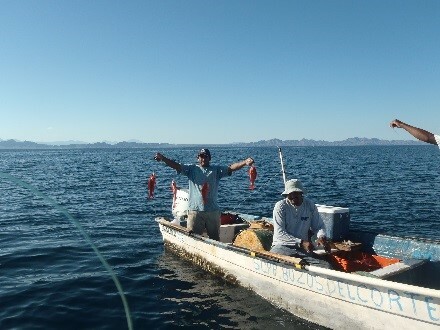 Within the Bay of Loreto National Park, only Low-Scale commercial fishing is allowed, using fishing gear and equipment that will not cause excessive damage to the environment. This type of fishing permit is for recreational activities. Its main restriction is not to capture a large number of fish, and the species allowed to catch are very particular. One of the main goals of the people engaged in this activity is to extract specimens of great dimensions and weight. Licenses are personal, and the cost (in Dollar) per day is $9.48, per week $18.60, per month $26.18, per year $33.77. Remember to always fill your fishing logbook with the species captured. There are only five species exclusive to this activity which are the Sailfish (Istiophorus platypterus), Striped marlin (Tatrapturus audax), Black marlin (Makarira indica), Blue marlin (Makaira nigricans) and Dolphinfish (Mahi mahi, Dorado) (Coryphaena hippurus). 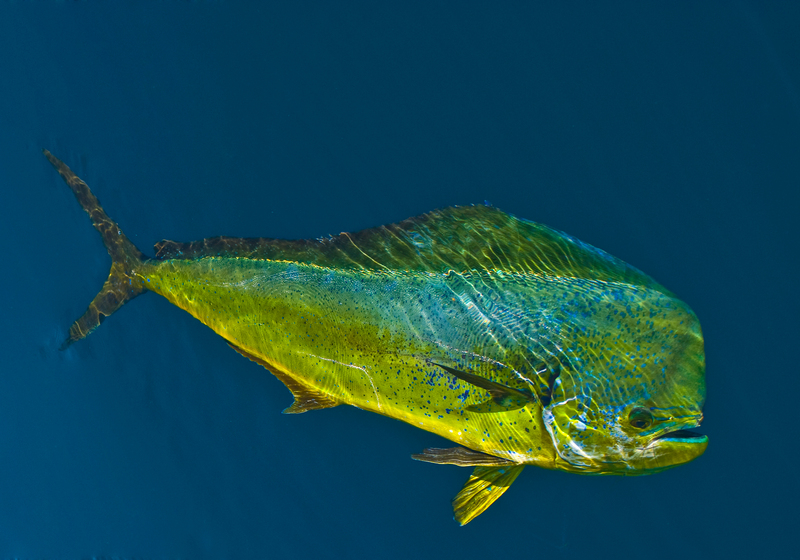 In Loreto, sport fishing also allows for: Yellowtail amberjack (Seriola rivoliana), Roosterfish (Nematistius pectoralis) and Wahoo (Acanthocybium solanderi). This kind of fishing activity is done by fishermen with partner academic institutions and marine life research centers; its focus goes from assessing the aquatic resources; to developing new technologies for regenerative and sustainable fisheries with the goal to diversify the fisheries resources. An example of this type of fishing is the ongoing assessment of the Chocolate Clam (Megapitaria squalida), at the bay of Loreto, where fishermen from different production cooperatives, have partnered with a federal government research center, the National Institute of Fisheries (INAPESCA), and three Marine Conservation organizations, Fondo Mexicano Para la Conservacion de la Naturaleza, Eco-Alianza de Loreto and ProNatura Noroeste. The recognized academic institutions can use a Pedagogic or Didactic Fishing permit to instruct, teach and to qualify their students majoring in the related fields of science, the topics include abundance, biology, methodologies, assessments, ecology, monitoring, etc. These are the main categories for Loreto Bay National Park Fishing. It is important to remember that industrial-level commercial fishing is not possible inside this Natural Protected Area, due to the high impact that it generates on the marine ecosystem. One of the principal purposes of National Park designation is for the conservation of ecosystems and diverse habitats, as well as its flora and fauna.